Home 2014 Cebu Pacific Air Civil Aeronautics Board News SEAir International Tigerair Philippines SEAir to rebrand into Go Air Inc.
SEAir to rebrand into Go Air Inc.
Aviation Updates Philippines - The country's air-services regulator has approved the petition of South East Asian Airlines (SEAir) to rebrand into Go Air Inc.
South East Asian Airlines is planning to rebrand into Go Air Inc. because they need to return the company to its original owner. “We approved their petition for endorsement to the SEC. We did not see any violation or any legal implication based on our review,” he told the BusinessMirror. 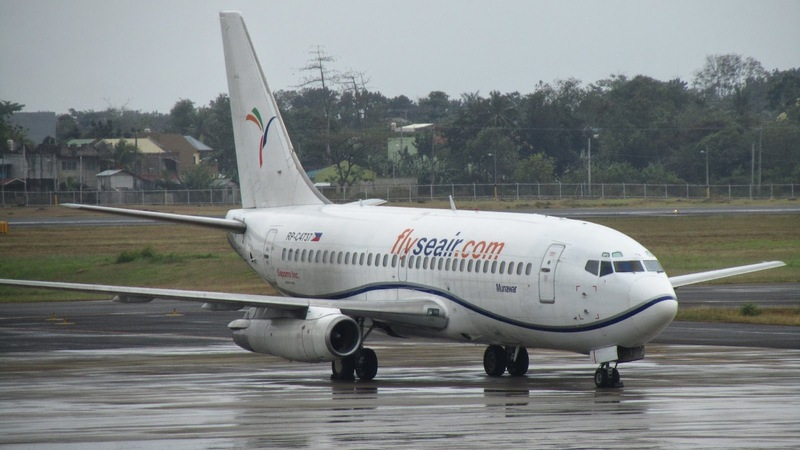 Seair is changing its corporate name to Go Air Inc., as part of its agreement with the new parent company, Tigerair Philippines President Olive C. Ramos said in a report in BusinessMirror. But, the two firms, Tigerair Philippines and SEAir (Go Air Inc.) will continue operate separately with different management. In March 2014, the Civil Aeronautics Board approved the 100% acquisition of Cebu Pacific to Tigerair Philippines. Cebu Pacific currently operates over 2,200 flights per week with 51 planes servicing the 24 international and 33 Philippines destinations in its network. Tigerair Philippines operates about 118 flights per week with five planes going to 11 domestic and international destinations. Thanks for the information. Travelling by air is one of the most efficient way of travelling. Cllick here to know more about Go Air airlines.